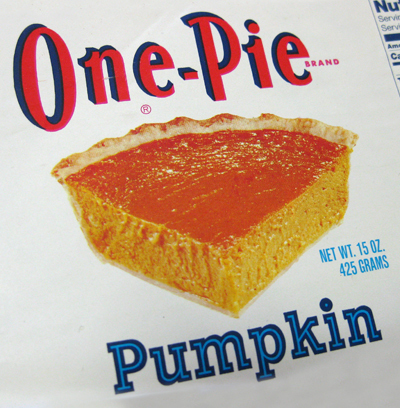 A holiday staple Down East and throughout the rest of New England, One-Pie (and its label) has remained a favorite for decades. The allusion to the numeral one in the stems of the n and i is particularly corny. The inline slab serif isn’t too shabby either. Though, is it just me or is the u and upside-down n?